"Lenin" (formerly "Simbirsk"), built in 1909 in Danzig (Germany). Being cargo-ship, could take on board 569 passengers. The owner of the vessel - Steamship Company "Volunteer Fleet". Steamboat worked in the Far East between Russian ports and ports Japan and China. VOYAGE ship to China (Beijing Capital) for certain is not known, but in Japan, "Simbirsk" walked regularly, and proved by the many historical facts. Bright description of one of these flights "Simbirsk" from Vladivostok in the Japanese port of Tsuruga in 1914 in the novel g.privedeno K. Zhakova "Through the system of life" . In That same year, "Simbirsk" almost became war booty Germany at the beginning of the First World War, when the road from Nagasaki Vladivostok boat was nearly captured German cruiser "Emden" - "Simbirsk" literally caught "On live bait", releasing him to a meeting captured by the Germans the day before the ship "Ryazan". In 1920, the owner of the ship, the company "Dobroflot" basely stole their property in Japan. Somehow, in January 1923, was absent for about two years, the ship returned to Vladivostok, and changed owners. In September of that year, before the "flight of humanitarian aid impoverished proletariat of Japan", the ship was hastily renamed "Lenin" (obviously because the original name of "Simbirsk"). In January 1918, Lenin signed a decree on the nationalization of the sea and river fleet. According to him, in the summer of 1921 begins the movement of ships pas Crimea-Caucasus, Kherson, Nikolaev, Crimean-Azov and other domestic routes. They served the steamers "Lenin", "Lenin", "Chicherin", "Pestel", "Ignatius Sergeyev" capacity from 474 to 676 people. In order to implement the decree ship ferried the Black Sea and exploited in the Crimean-Caucasian lines. The steamer was acquired by the Black Sea Fleet of PPP. All these years the ship had served the Soviet state, carrying supplies and citizens of the Soviet Republic on the Black Sea. "Lenin" was shuttled between ports of Odessa, Yalta, Sevastopol, Theodosia, Novorossiysk port Caucasus. We can project that in 1927. The steamer was already on the Black Sea routes, as famous novel by I. Ilf and Petrov "12 chairs", which referred to the ship "Lenin" was written exactly in the year. 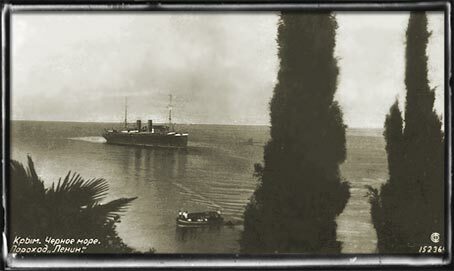 There are historical data that Lenin was transported to the Black Sea in 1925, although other sources of "Lenin" in 1923 went from Odessa to the Mediterranean Sea. 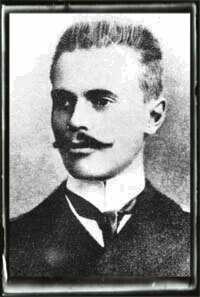 In fact, the famous Just Russia Vladimir STABROVSKY sailed on "Lenin" in Constantinople and Athens. In 1941, the ship underwent modernization (30 years, though!) As a result of the visible changes, his two round smoke pipes have been replaced by another, more modern, rectangular shape, which is adorned with embossed top hammer and sickle. Over the years parahod "Lenin" was hosted on board the many famous people. 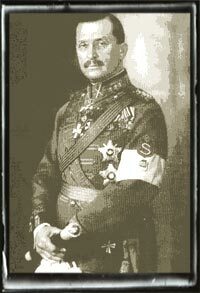 Since the fall of 1908 from Japan to Vladivostok on board "Simbirsk" arrived Colonel Carl Gustaf Emil Mannerheim - officer of the Russian Imperial Army, Marshal of Finland, Finnish statesman, President of Finland in 1944 - 1946. 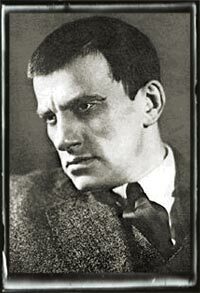 In 1927, the poet Vladimir Mayakovsky was a guest on board the "Lenin", he went on CAUTERETS from Sebastopol to Odessa after his speech to the new poem "Good". On the boat was his last speech to the sailors. 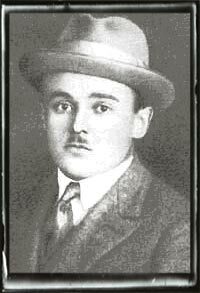 In 1928, Sergei Korolev, who led all summer flight tests in the village. 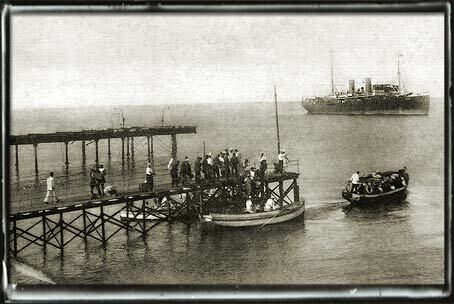 Koktebel (Planerskoe), sailed on the "Lenin" from Feodosia to Odessa, which was itself born.